WITH A CITY as dynamic as Seattle, you could visit every year and never feel the need to go to the same place twice. Here are 11 spots you might not have heard of last time you were in town, but which people will probably be talking about in 2016 and beyond. At street level, Ravenna’s Third Place looks like any other cozy independent bookstore. But down in the basement you’ll find a great bar with 18 rotating taps. Playing host to live music, book club gatherings, and Magic Mondays (where, every so often, the PNW’s finest magicians get together to perform in the spirit of the London theater cabarets), the Pub at Third Place serves up choice dishes including mezze plates, eggplant sandwiches with grilled halloumi, and kopanisti dips made from roasted red peppers and feta. And it’s all good. All of it. There’s also a sister cafe upstairs that serves housemade Greek food. Thanks to the upcoming opening of the light rail, and its burgeoning restaurant scene, the quiet Ravenna neighborhood is definitely getting some buzz. Check out Salare — it’s the restaurant of Edouardo Jordan, alum of Per Se and the French Laundry, and it’s just down the road from Third Place. French-trained pastry chef Rachael Coyle is at the forefront of putting North Seattle’s Greenwood neighborhood on the radar. Locals flock to her bakery for goodies that include pistachio croissants, cheddar scones, sourdough spelt English muffins, and chocolate layer cakes. Coyle also has a knack for combining people’s greatest loves into Seattle pastry mainstays, like cretzels (croissant + soft pretzel) and millionaire’s shortbread (biscuit + caramel + chocolate). Tip: Get a coffee or espresso to go with your pastry. Coyle uses beans from Seattle’s True North, and the chocolate sauce and syrups for her drinks are all made in-house. Located in a Fremont basement, this eclectic game emporium consists of three small rooms jam-packed with coin-operated machines dating from the 1950s to the present. Founders Brad Johnsen and Travis Echert are currently expanding their pinball emporium to an upstairs space — so yes, this is a popular spot. Show up on Wednesday nights to partake in the weekly tourneys. Beginners are welcome, and for a $5 buy-in you can go neck-to-neck with some of the highest ranked players in the world. Or, you know, just hang out in the corner and get your picture taken with the larger-than-life mural of Patrick Swayze from Point Break. Told you this place was eclectic. Locals will tell you that one of the best ways to experience Seattle is to get out on the water. Kayaking and paddle boarding are great, sure, but cycling on a pontoon boat gets you way more bragging rights. 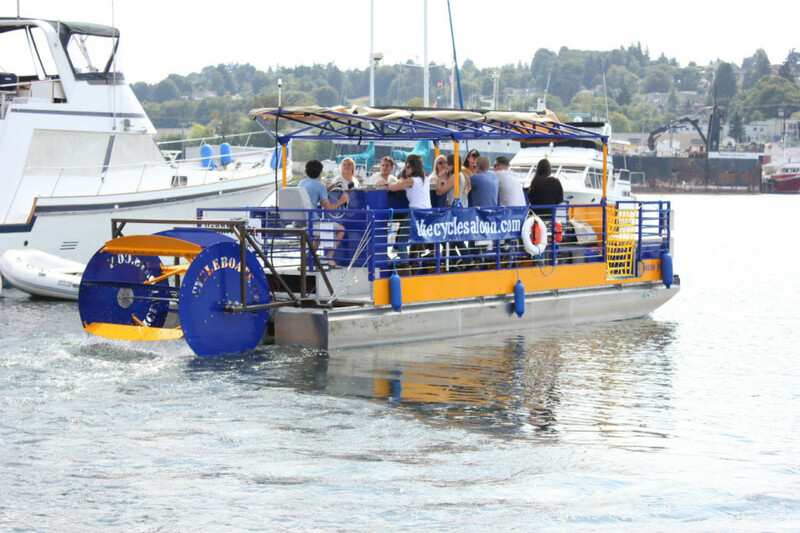 Cycle Pontoon’s 14-passenger, pedal-powered craft goes out on Lake Union. Riders propel a large paddlewheel at the back of the boat; the instructor controls the resistance by raising and lowering the paddlewheel in the water. If you’re into boating but not pedaling, snag one of the bench seats, where you can kick off your shoes while your friends pedal you around. Alex Johnstone and David Rothstein, two 20-something buddies who’ve been riding bikes together since high school, have transformed their business towing 100-pound coffee carts behind their bikes into a brick-and-mortar outpost in one of Seattle’s oldest neighborhoods, Pioneer Square. Convoy has a prime spot in Impact Hub, a shared workspace that houses socially conscious small businesses. Hyper-local is the name of the game at Convoy Coffee. 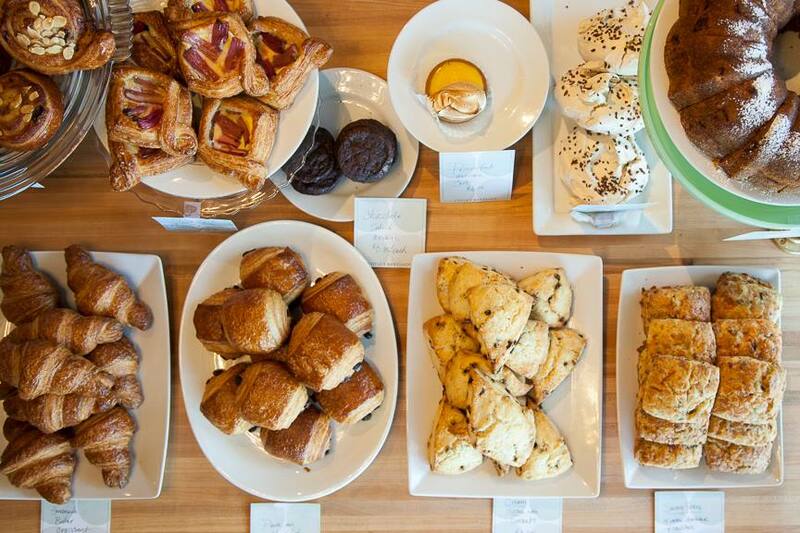 From the beans to the milk to the espresso machine (produced in nearby Georgetown) to the countertops (Boeing hardwood) to the curated pastries (from Coyle’s), everything’s sourced from as close to Seattle as possible. 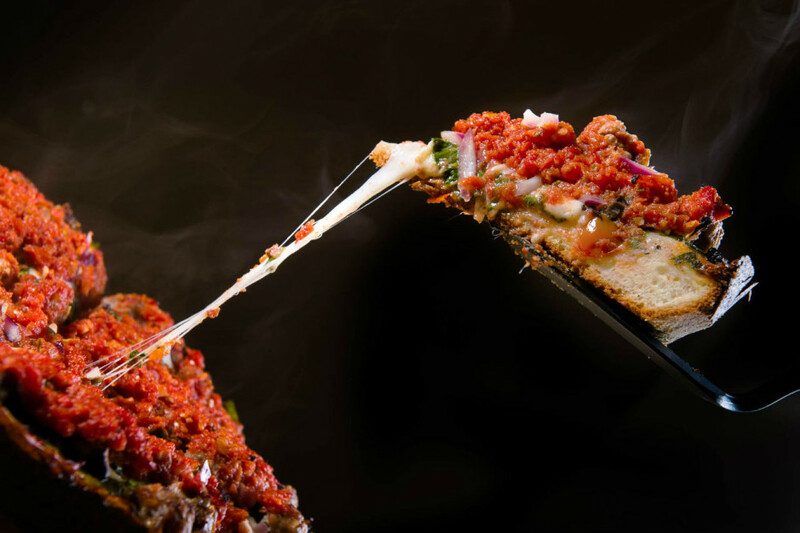 Some say killer Chicago-style deep-dish pizza is almost as hard to track down as a unicorn in the Emerald City. I respond with three words: Windy City Pie. Founder Dave Lichterman, an ex-computer engineer from Chicago, got the idea to start this one-man operation because he missed pizza from his hometown. Lichterman began by making and delivering each pizza from an industrial kitchen in Capitol Hill, then quickly expanded to new digs in the SoDo neighborhood. Known for their perfect caramelized cheese edges, all varieties of these 12-inch pan pizzas rule. Purists like to stick with the Classic (house sausage, caramelized onions, mushroom, bell peppers, and red sauce), although the Veggie (subbing out the house sausage for spinach) and the Hot Island (house sausage, pineapple, jalapeño, garlic, and red sauce) are equally as popular. All pizzas have to be ordered online at least a day in advance, and you can opt to pick up your pizza or have it delivered. You know you’re onto something when the queue to score a cupful of Greek yogurt trumps the line for other Pike Place Market favorites like Beecher’s “world’s best” mac & cheese and Cinnamon Works’ gooey rolls. The display case at Ellenos regally shows off tubs of creamy, smooth puddings topped with colorful additions like passion fruit, lemon curd, and marionberry. Everything is made in-house, including all of the toppings, and they source their milk locally, combining it with the family’s secret blend of probiotic cultures. Tip: Closer to dessert than health food, a seasonal favorite is the pumpkin pie topped with pie crumbles. An industrial, ultramodern space, Kremwerk’s shows range from “Feel the Bern,” a three-night fundraiser / dance party for Bernie Sanders featuring hip hop and techno by some of Seattle’s sickest djs and artists (like Riz Rollins from KEXP), to a Fleetwood Mac tribute night where you’re encouraged to dress in white. If you’re a food enthusiast who prefers a quieter, more rural experience, put Vashon Island and owner / founder / farmer George Page’s La Boucherie on your itinerary. Sourcing from Page’s farm, Seabreeze, which is located on the north end of the island, La Boucherie serves five-course meals that include charcuterie, artisan sausage, and the grass-pastured and forest-ranged meats he’s famous for selling at Seattle farmers markets. Page also offers a “Farm Experience Dinner,” where you can visit the farm, milk a cow, check out his wine cellar (he currently has a 2006 Brisage bordeaux-style blend and a 2007 Syrah from his winery, Sweetbread Cellars), and join Page for a meal on the farm. Drunky’s Two Shoe BBQ proves good barbecue can totally be found outside the South. Right off the Burke-Gilman Trail in Fremont, this is a fun, quirky, insanely delicious diversion from the usual hipster fare and craft cocktails scene. 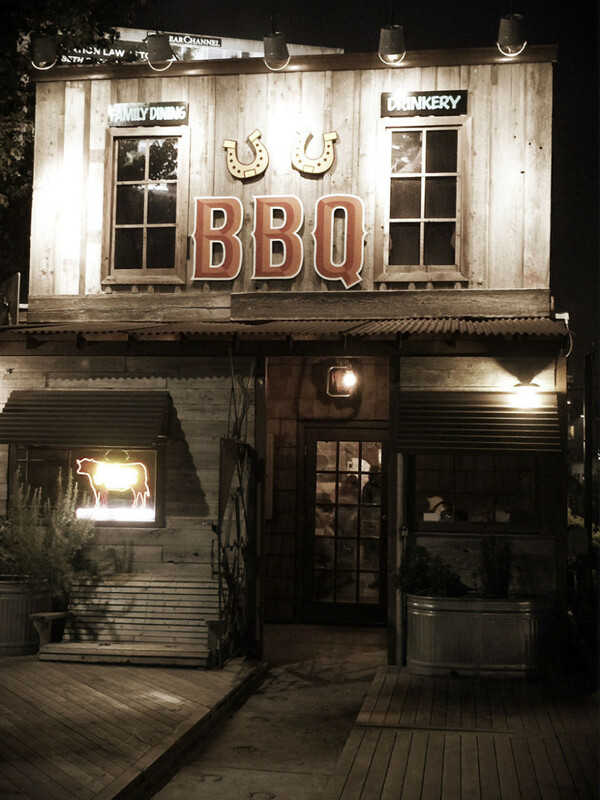 Drunky’s serves Central-Texas-style BBQ, with décor that makes you feel like you’ve left the Pacific Northwest for a well-used barn or hunting lodge. The outdoor patio is an awesome spot for occasional live music and meeting the pet goats. The brisket sourced from St Helens Farm is hard to beat, but if you can’t decide among all the items on the menu, go for the Drunken Feast family-style meal and you’ll get an array of brisket, chicken, ribs, and sides. Pizza lovers from all over flock to Delancey. 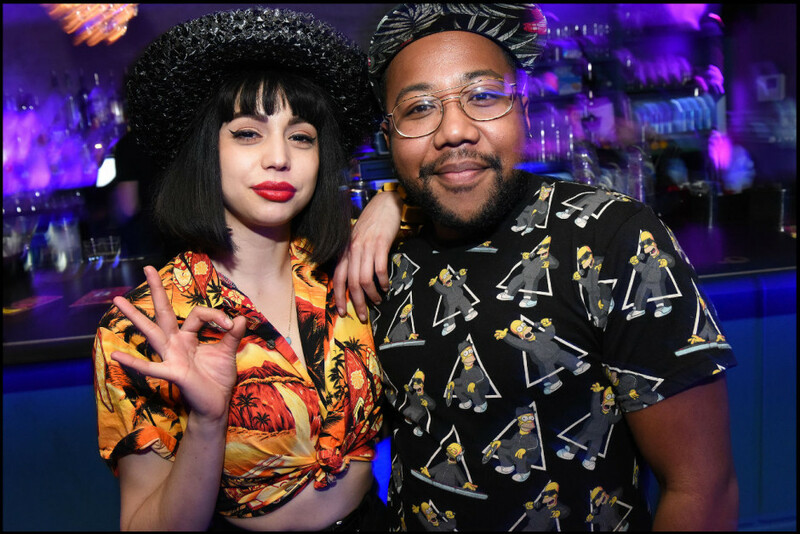 What people don’t realize is that the adjoining bar, Essex, is a destination in its own right, owned by Brandon Pettit and his wife Molly Wizenberg (who runs the popular food blog Orangette). Pettit, who hails from New Jersey, affectionately named the bar after a subway station in New York. Stop here and you’ll find killer cocktails and a well-curated menu featuring charcuterie, soft pretzels with stone-ground mustard, and New Orleans-style oysters. But the star on the menu is the burger, which many locals hail as the best damn thing in Seattle. Pettit spent months perfecting it: It’s characterized by the thick, juicy beef patty seared in the same wood-fired oven as Delancey’s pizzas, and dressed with spicy malt vinegar aioli. Tip: Check out Tiki Taco Tuesdays, Pettit’s solution to the restaurant industry’s slowest day of the week. The Hurricanes and the Singapore Slings strike the perfect balance between sweet and strong. Order both.